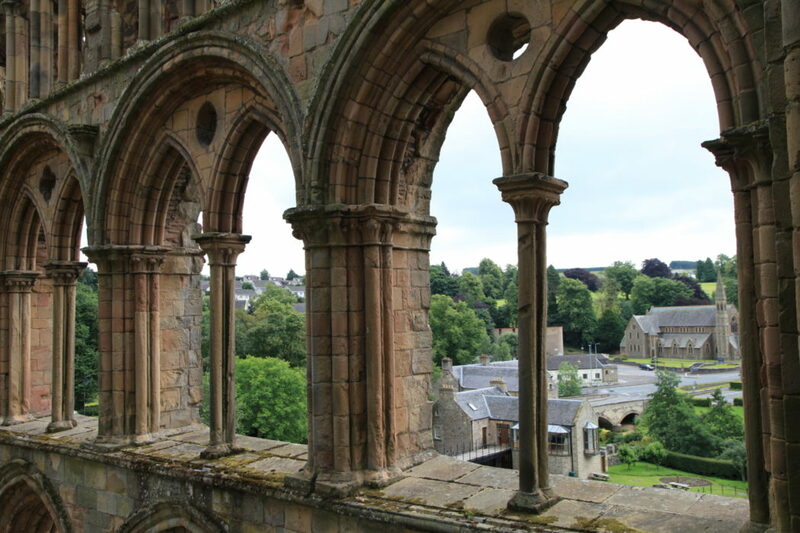 Paul Boobyer takes a fascinating tour of Scotland’s ruined Borders abbeys: four ravaged Gothic masterpieces that sat on the front line in a series of devastating wars that lasted nearly 400 years. Where and what is the Borders Abbeys Way? 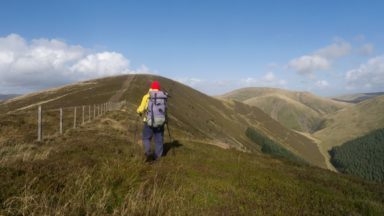 The Borders Abbeys Way forms a circuit or series of day walks in the central Scottish Borders, an enchanting landscape of patchwork fields, hills and woodland copses, intersected by the prominent Tweed and Teviot rivers. 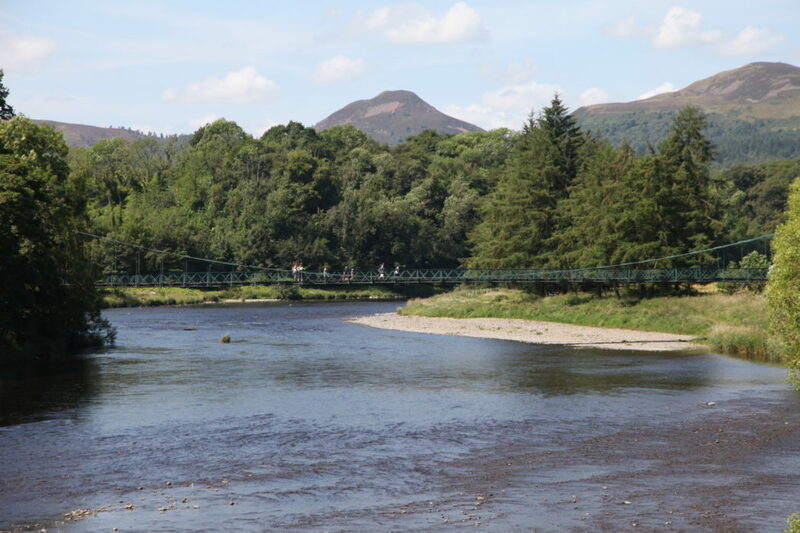 This tranquil tract of Scottish countryside is one of Scotland’s most elegant regions and is a perfect destination for a week’s walking break. The 68-mile route is normally completed in six days, during which the average distance walked per day is 11.3 miles. 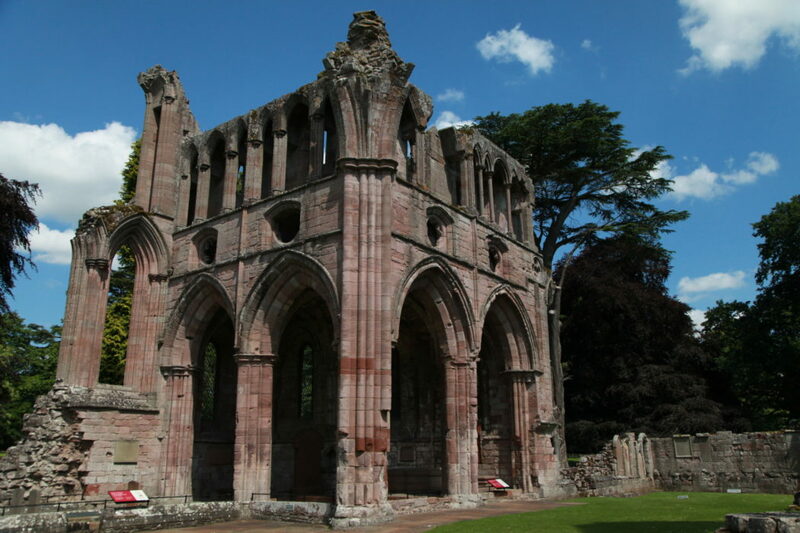 This allows ample time to explore the abbeys and other historic sites studded along the way, and to enjoy the pleasant towns of Melrose, Kelso, Jedburgh and Hawick and the villages of Denholm and Newtown Saint Boswells. Most of the route is on footpaths and tracks. Road walking, when required, is along quiet roads. 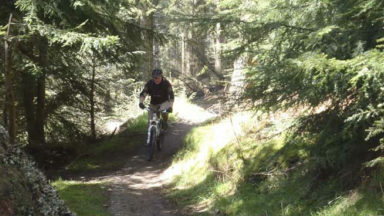 This is one of Scotland’s Great Trails and justly so. With sublime scenery, grand ruined abbeys and historic country mansions and museums to explore, it is varied enough to delight the most ardent walkers and history buffs, alike. The Borders Abbeys Way is as much a walk through history as it is through the Scottish Borders; you are not simply passing through beautiful countryside, you are also discovering the unique history of a titanic struggle between the kingdoms of Scotland and England during the mid-12th to the mid-16th centuries, a time when this was a dangerous frontier. Are there decent facilities and luggage transfer services available on the Way? 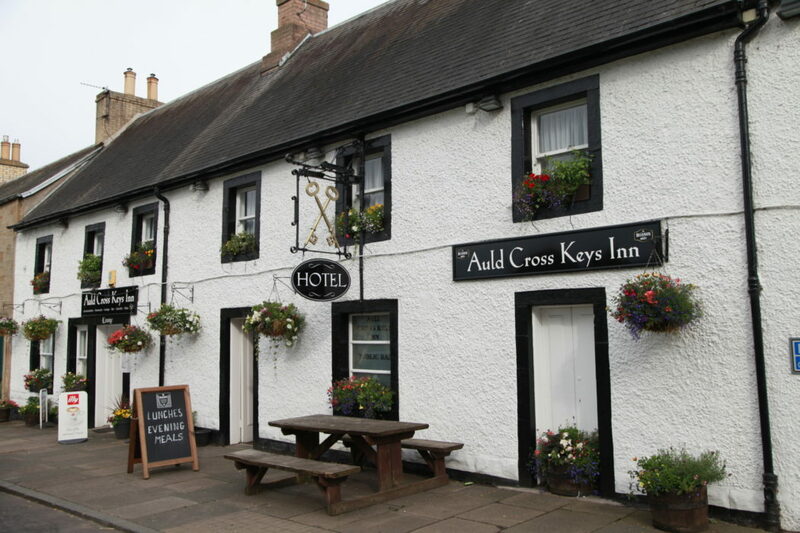 Yes, in each town and village along the route there is a choice of good-quality accommodation, restaurants and cafés. Each stage begins and ends at a town or village and luggage transfer services are available. 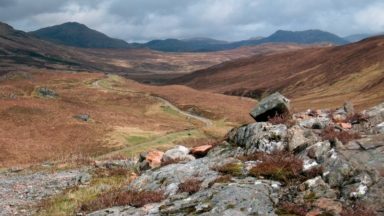 There are regular bus links between the settlements on each stage of the route so it’s easy to plan stand-alone day walks, returning to the point of departure, as an alternative to a complete circuit. Cicerone’s guidebook, The Borders Abbeys Way, provides comprehensive information on the bus services to and from each settlement. When and why were the Borders abbeys built? The four Borders abbeys were constructed as a result of the inexorable expansion of the Norman dynasty into England in 1066. The social revolution that ensued marked a monumental change in Scottish society, when the old Celtic order was cast aside by a concerted Roman Catholic Church and ambitious Anglo-Norman monarchy in the form of King David I of Scotland. Crowned in 1124, David was the first Anglo-Norman king to sit on the Scottish throne and eschewed his Celtic lineage. 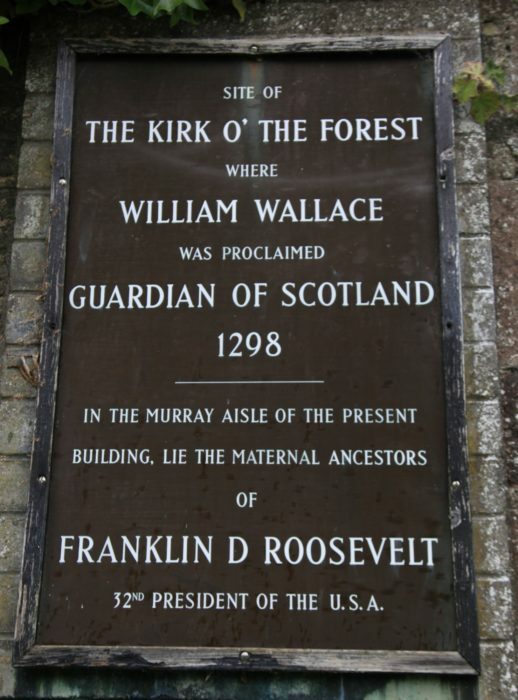 His father, King Malcolm III, was the last Gaelic-speaking monarch to rule Scotland, but Malcolm and his wife, Queen (later Saint) Margaret, were both dead by the time David was about nine years old. David subsequently spent his youth at the Anglo-Norman court in England and Normandy, where he was groomed for his position as the future king of Scotland, allied to the English king, Henry I. Thus, when David was crowned King of Scotland, he effectively allied the kingdoms of Scotland and England. Once in power, David brought monks and canons from Normandy, who constructed the great Borders abbeys, all of which were completed by 1150. 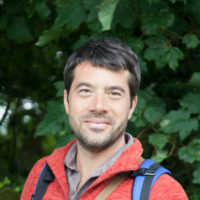 David also introduced the feudal system to Scotland and huge swathes of Scotland’s best arable land were transferred to the ownership of the abbeys. The Catholic Church generated huge wealth on behalf of the monarchy through international trade, particularly in woollen products. The Church also managed the taxation system on behalf of the monarchy. However, after the death of King Henry I in 1135, the alliance was fractured and the two kingdoms fought for supremacy. Hostility was intensified by rivalry within the Catholic Church, which led to the separation of the Scottish Church from its English base. The Borderlands consequently became a stark frontier between the warring kingdoms, and for the following four centuries the abbeys and their inhabitants suffered the frequent waves of violence that swept the region. The abbeys were attacked by English armies on several occasions and were subsequently rebuilt or repaired after each invasion. But the ruins we see today are the result of campaigns led by the Earl of Hertford in 1544 and 1545. The Earl, acting on behalf of the Protestant King Henry VIII of England, intended to end Catholic hegemony in Scotland. This was finally achieved in 1560 with the Scottish Reformation. What about the outlaw mobsters known as the Borders Reivers? 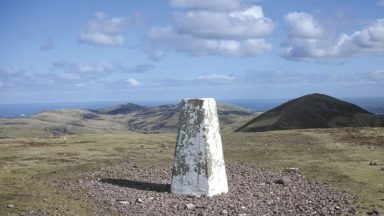 The Borders Reivers were notorious Scottish and English extended kinship groups active from the late 13th century until the beginning of the 17th century. The word ‘reive’ is an early English verb meaning ‘to rob’, which aptly describes the Reivers’ main source of income. Loyalty to the family group was more important than nationality, and it was not uncommon for English and Scottish family groups of the same kin to join forces and carry out raids on both sides of the border, despite border crossings being strictly illegal. The word ‘blackmail’ dates to the time of the Reivers and refers to money extorted from local populations. Most of the time, however, reiving involved livestock and horse rustling. 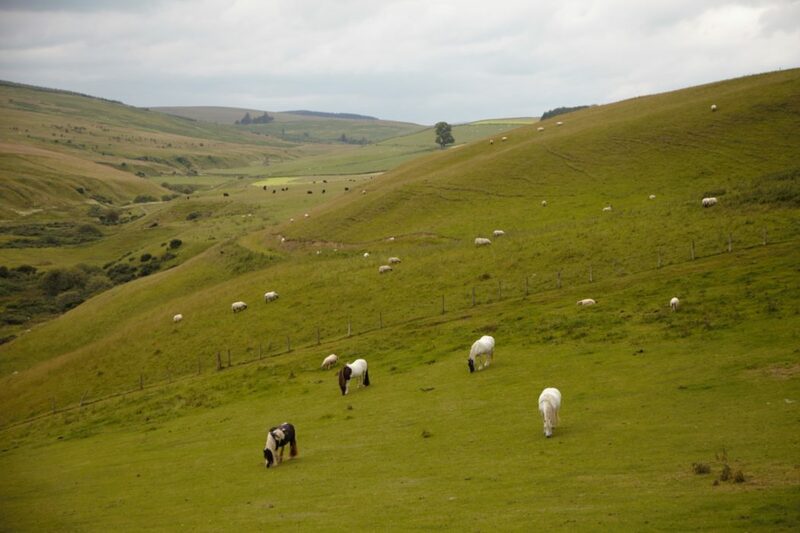 Winter was the main rustling season due to the long nights, and livestock was plump from spending the summer grazing. A counter-raid by the dispossessed to regain their herds and kinship honour was deemed mandatory and resulted in long-running feuds between groups of Reivers. Royal and government authority was weak or non-existent, and the frequent gang warfare was carried out with impunity from the law. What was it like to live in the Borderlands back then? 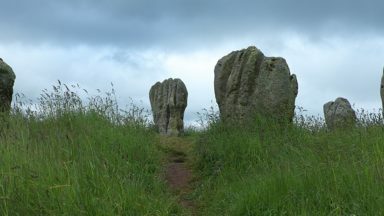 Crops were often destroyed as a result of the wars between England and Scotland, and populations in the Borderlands were consequently heavily reliant on livestock, which had the advantage of being mobile. Daily life, particularly during the Wars of Scottish Independence in the 14th century, and the so-called ‘Rough Wooing of Scotland’ in the 16th century, was extremely precarious, and the population depended on their wits to survive. The numerous ruined fortified tower houses that we see in the Borders today are the legacy of those times. Anyone living in or travelling through this region was at risk of attack, and it was as dangerous as any turbulent frontier region that exists in the world today. 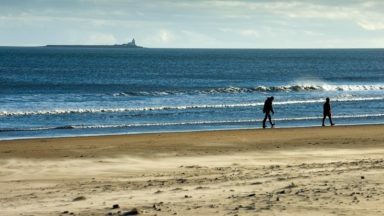 Despite the concerted efforts of the authorities, it was not until the early 18th century that the Borderlands finally became peaceful, following a series of parliamentary acts in Scotland and England, designed to bring the marauding Reivers to heel. Apart from the abbeys, what are some of the other highlights on this route? If you enjoy visiting grand country mansions, this walk will certainly appeal. Along the way is Floors Castle, home to the Duke of Roxburghe. Despite its name, it is actually a mansion rather than a fortress. 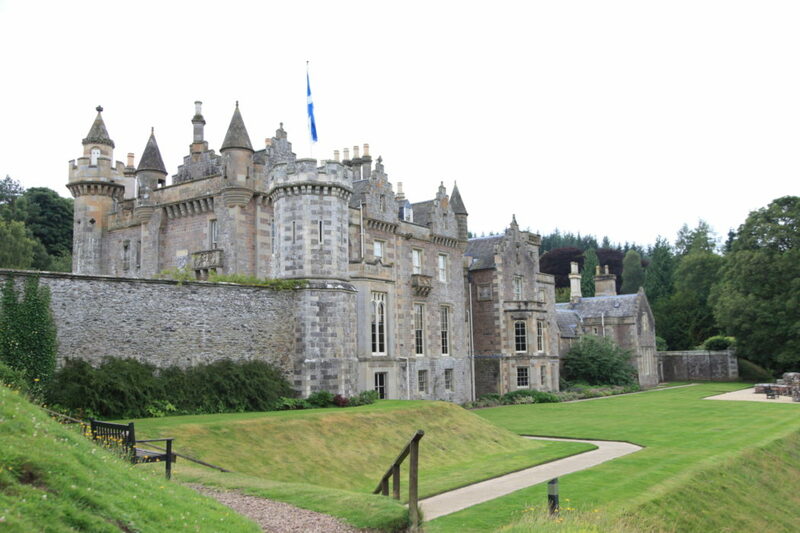 The route also passes Abbotsford House, the stately former residence of Sir Walter Scott, one of Scotland’s most esteemed writers. Abbotsford contains a unique array of Scottish artefacts collected by Scott. 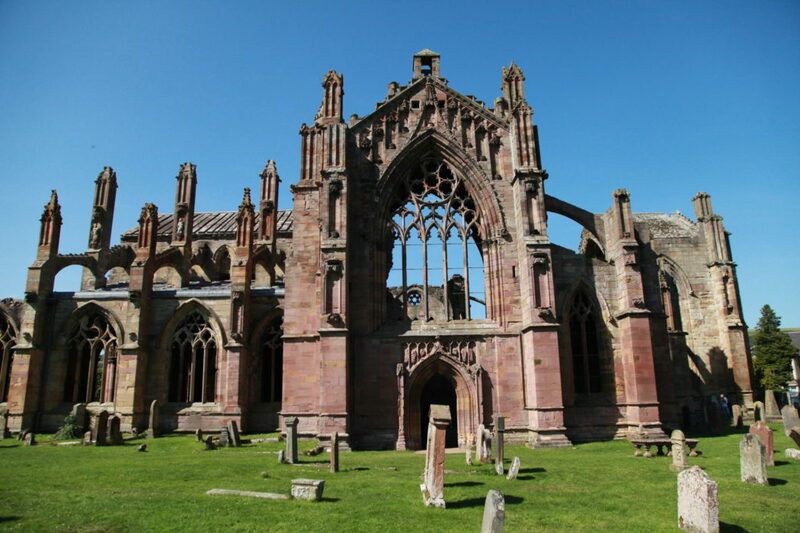 There are also museums to visit in Melrose, Jedburgh, Hawick and Selkirk. After which, you can enjoy a top-notch meal in a decent pub or restaurant. What could be better?